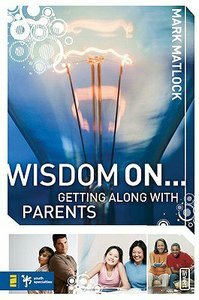 Wisdom On...Getting Along with Parents can help you understand both sides a little better and improve your relationship. This book is about giving you insight and understanding into the dynamics of your relationship with your parents, and helping you learn to use wisdom when you interact with them. You'll walk away from this book with a whole new perspective on the relationship you have with your parents, and how to have an even better one. About "Wisdom on ... Getting Along With Parents (Invert Series)"